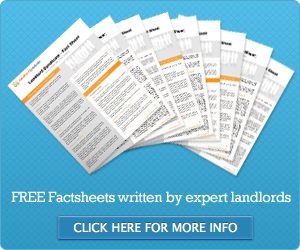 The average tenancy will, according to a new survey, last for an average of 18 months. Direct Line for Business says that tenants today are increasingly taking a short-term view when it comes to renting property. Their findings appear to contradict previous research which pointed to tenancies becoming longer. However, Direct Line says that tenants in Birmingham are staying in their private rented home for two years and four months, on average, which gives landlords the smallest tenant turnover in the country. Surprisingly, the next location with the smallest tenant turnover is London where landlords have tenants remaining in the property for one year and nine months, on average. Next on the list is Leicester where tenants stay for one year and eight months, and tenancies in Edinburgh, Sheffield and Liverpool last an average of one year seven months. The greatest turnover of tenants can be found in Cardiff where landlords have tenants remaining in the same rented property for just 11 months, in Leeds tenants remain for 12 months and in Bristol tenants remain in their home for 14 months. The survey from the insurance firm also reveals that the typical annual void period is 22 days for buy to let landlords which, on current existing rents, means that landlords lose £547 in lost rent. Landlords in Birmingham fill their vacant properties most quickly and find tenants in 11 days, whereas landlords with buy to let homes in Liverpool and Aberdeen take 33 days, on average, to fill their property. Meanwhile, the spike in landlords snapping up by to let properties to beat the stamp duty deadline has been underlined with news that buy to let mortgage valuations fell by 40% between February’s figure and April’s. The figures come from Landmark Quest and the firm’s managing director, Peter Stimpson, said: “There’s been a sharp decrease in the number of buy to let instructions and it’s clear the race was on for these transactions to go through before 1 April’s new rules.